On the 19th (Tue), take in the exciting artwork at Walkatjara Art, get great views at Uluru, explore the activities along Mutitjulu Waterhole, then stroll through Kuniya Walk, and finally explore the striking landscape at Uluru. Get ready for a full day of sightseeing on the next day: get outside with Walpa Gorge, take in the awesome beauty at Kata Tjuta, and then get engrossed in the history at Uluru-Kata Tjuta Cultural Centre. To see maps, more things to do, reviews, and more tourist information, refer to the Uluru-Kata Tjuta National Park online holiday planner . Cardiff, UK to Uluru-Kata Tjuta National Park is an approximately 34-hour combination of train and flight. You can also fly; or do a combination of train, flight, and car. The time zone difference when traveling from Cardiff to Uluru-Kata Tjuta National Park is 9 hours. Expect warmer temperatures when traveling from Cardiff in November; daily highs in Uluru-Kata Tjuta National Park reach 41°C and lows reach 22°C. Wrap up your sightseeing on the 20th (Wed) early enough to travel to St Kilda. St Kilda is an inner suburb (neighbourhood) of the metropolitan area of Melbourne, Victoria, Australia, 6 km south-east of Melbourne's Central Business District. 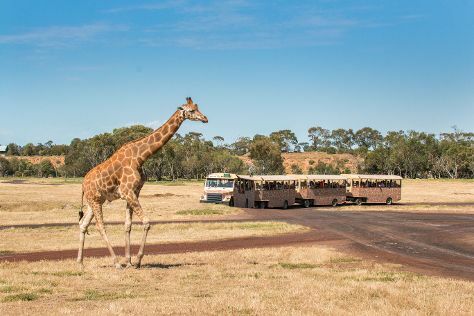 Start off your visit on the 21st (Thu): enjoy the sand and surf at St. Kilda Beach, get to know the resident critters at Werribee Open Range Zoo, and then stroll around Logan Reserve. Get ready for a full day of sightseeing on the 22nd (Fri): take an in-depth tour of Jewish Holocaust Centre, see the interesting displays at Scienceworks, then stroll around Windsor Siding, and finally identify plant and animal life at Damper Creek Reserve. To see photos, where to stay, other places to visit, and tourist information, you can read our St Kilda trip itinerary planning tool . 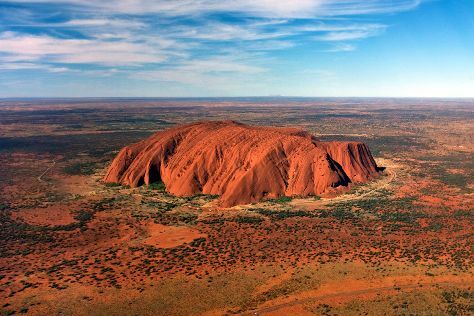 Fly from Uluru-Kata Tjuta National Park to St Kilda in 4 hours. Alternatively, you can drive. When traveling from Uluru-Kata Tjuta National Park in November, plan for colder days and a bit cooler nights in St Kilda: temperatures range from 24°C by day to 13°C at night. Wrap up your sightseeing on the 22nd (Fri) early enough to travel to Sydney. Sydney is known for nightlife, trails, beaches, parks, and museums. 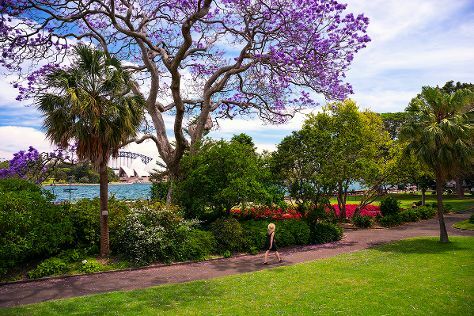 Your plan includes some of its best attractions: take in nature's colorful creations at Royal Botanic Garden Sydney, observe the fascinating underwater world at Sea Life Sydney Aquarium, enjoy the sand and surf at Manly Beach, and see a show at Sydney Opera House. For reviews, photos, maps, and other tourist information, go to the Sydney day trip website . Traveling by flight from St Kilda to Sydney takes 4 hours. Alternatively, you can do a combination of shuttle and flight; or drive. Prepare for somewhat warmer weather when traveling from St Kilda in November: high temperatures in Sydney hover around 29°C and lows are around 19°C. 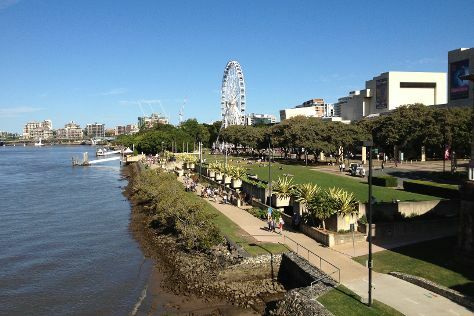 Wrap up your sightseeing on the 26th (Tue) to allow time to travel to Brisbane. Change things up with a short trip to Warner Bros. Movie World in Oxenford (about 1h 20 min away). There's still lots to do: let little ones run wild at South Bank Parklands, identify plant and animal life at Lone Pine Koala Sanctuary, find something for the whole family at Wheel of Brisbane, and stroll around Roma Street Parkland. To see other places to visit, photos, traveler tips, and tourist information, you can read our Brisbane trip planning site . You can fly from Sydney to Brisbane in 4 hours. Alternatively, you can do a combination of flight and bus; or drive. In November, plan for daily highs up to 31°C, and evening lows to 21°C. Finish up your sightseeing early on the 29th (Fri) so you can travel back home.